As the green energy revolution accelerates, solar farms have become a familiar sight across the nation and around the world. But China is taking solar power to a whole new level. The nation has announced plans to put a solar power station in orbit by 2050, a feat that would make it the first nation to harness the sun’s energy in space and beam it to Earth. The idea of using space-based solar power as a reliable source of renewable energy isn’t new. It emerged in the 1970s, but research stalled largely because the technological demands were thought to be too complex. But with advances in wireless transmission and improvements in the design and efficiency of photovoltaic cells, that seems to be changing. 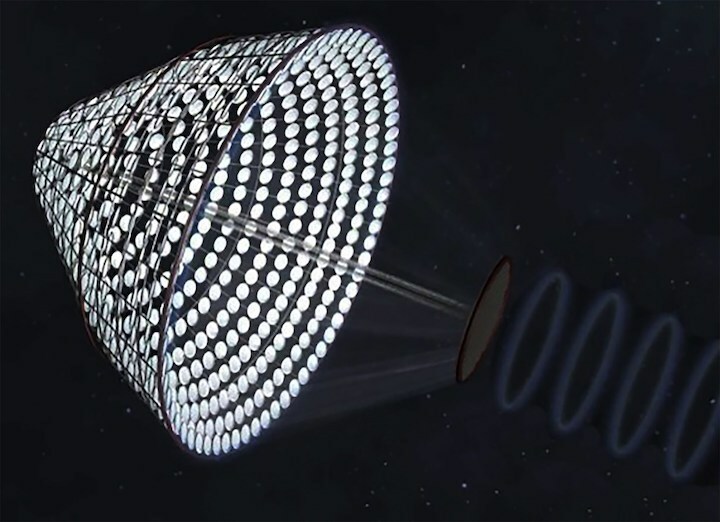 The swarming satellites would be covered with the photovoltaic panels needed to convert sunlight into electricity, which would be converted into microwaves and beamed wirelessly to ground-based receivers — giant wire nets measuring up to four miles across. These could be installed over lakes or across deserts or farmland. Mankins estimates that such a solar facility could generate a steady flow of 2,000 gigawatts of power. The largest terrestrial solar farmsgenerate only about 1.8 gigawatts.